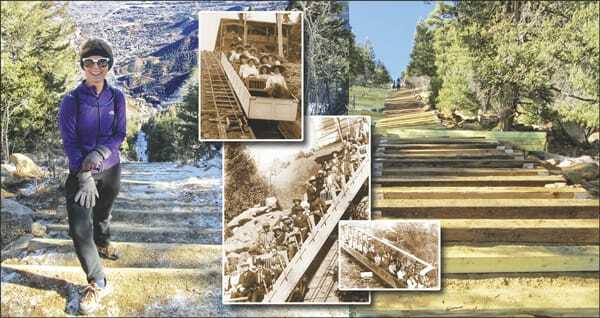 A wonderful piece of Colorado’s past, the Incline in Manitou Springs reopened to the public last month. After a few months of repairs, people are once again challenging themselves to the strenuous hike, rewarded with tremendous views of the Colorado Front Range. Colorado is rich in history, and a remnant of that historic past, affectionately referred to as the “Incline,” can be found embedded in the side of Pikes Peak in Manitou Springs. Constructed in 1907, the Manitou Springs Incline (Incline) was a one-mile cable tram designed to carry materials to build pipelines atop Pikes Peak. Following completion of the pipelines, it was turned into a tourist attraction. The earliest station at the top of the Incline burned down in 1914 but was rebuilt. The original cars that carried passengers to the summit were little more than the box cars used for hauling construction materials, but with wooden benches added. During the 1920s, however, the cars were upgraded to allow for a retractable roof and more safety. In 1990, the Incline closed after a rockslide damaged the tracks and the rails were removed. Since that time, the track has seen a steady stream of walkers, hikers, joggers and runners, including military personnel training out of nearby Colorado Springs. On December 5, after nearly five months of repair work from flood damage and to reinforce retaining walls flanking parts of the trail, the Incline reopened to the public. The repairs were obvious to long-time Incline hiker Lee Ann Hilgendorf (pictured above), a Castle Pines resident who has been hiking it regularly for many years. The Incline is not an easy hike; it spans 2,000 feet in elevation in ¾ of a mile. The steps are made out of railroad ties and are therefore not even, challenging even the fittest of athletes. Sturdy shoes, water, and dressing in layers are all advised. The Incline is open year round, but come prepared for varied conditions as the climb rises. It may be dry at the base, but icy at the top. The trail is challenging and exhilarating. The good news is that hikers can take the easier Barr Trail down! 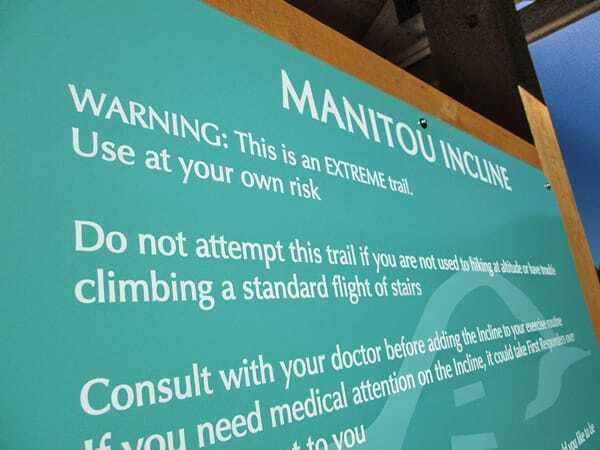 For more information, visit www.manitouincline.com. For a similar but more family-friendly climb a little closer to home, see the related story on page 7. 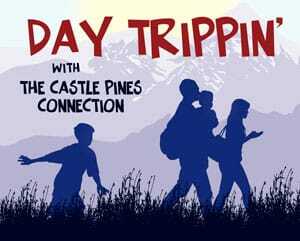 The Incline is not an easy hike, spanning 2,000 feet in elevation in ¾ of a mile.